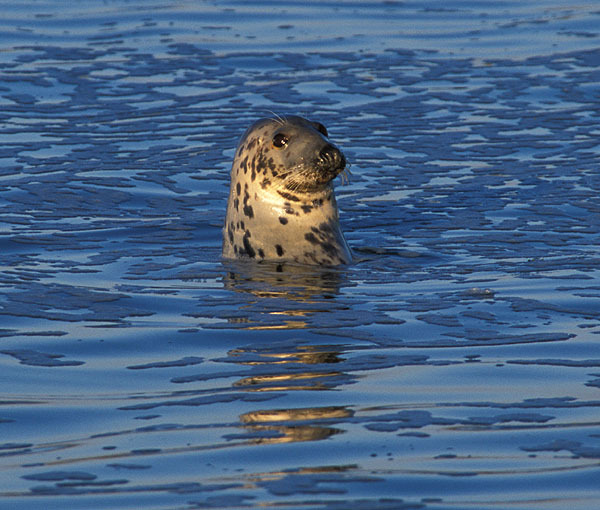 Seals can be seen in any bay on Tiree. Often they will follow you as walk along the shore, or surprise you by suddenly appearing a few feet away when you are windsurfing. 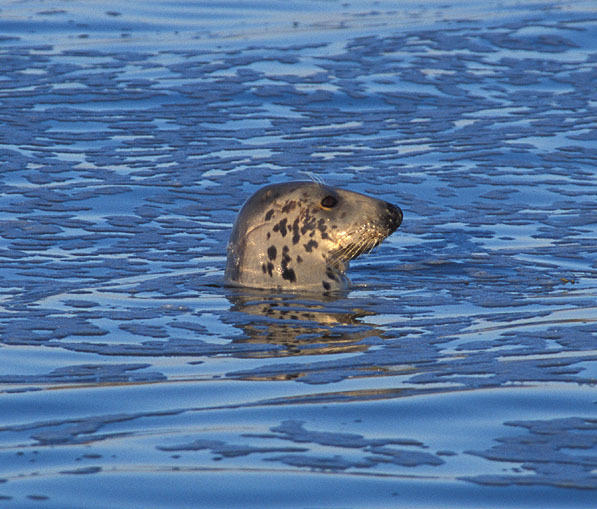 Vaul Bay always seems to have a few seals swimming around and this one was keen to be photographed. 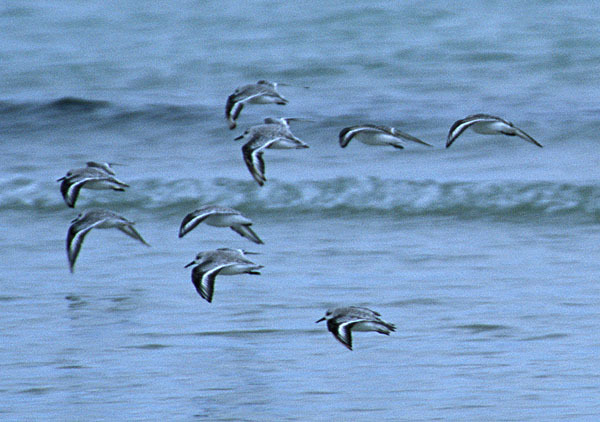 Sanderlings are a very common bird on Tiree. 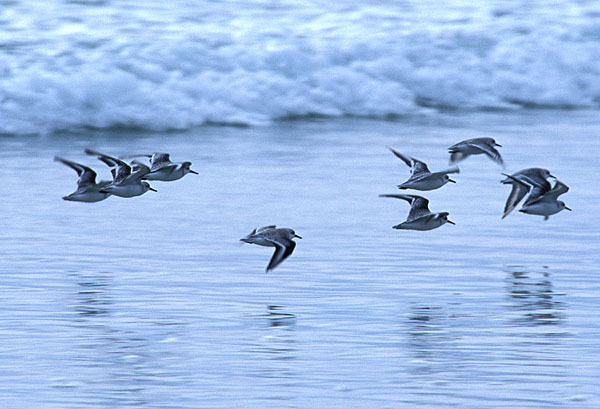 They scamper around at the edge of the water, avoiding the waves as they push in and out. As you walk along the shore they keep a safe distance ahead of you before taking off en mass and looping back to the part of the shore you've just vacated. Turnstones warming up in the early morning sun in Gott bay. Having never noticed any dragonflies on Tiree before September 2001, I spotted two near Loch Riaghain on some fencing. I carefully focussed the telepohoto lens and snapped them. When I took my eye away from the eyepiece I was astonished to find a third dragonfly had arrived. Herons are a common sight around the rockpools and shallows on Tiree, but like to keep their distance from humans. 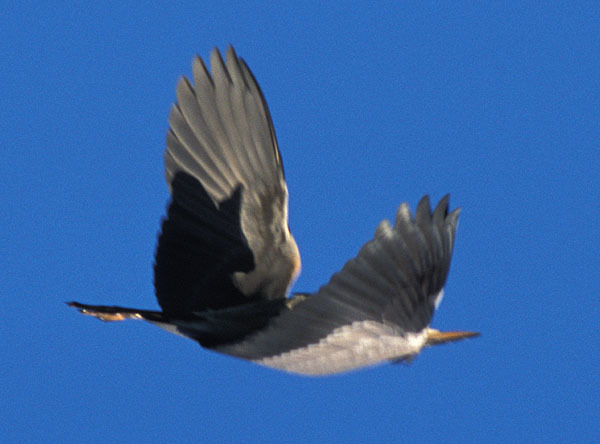 This one was hurredly snapped as it flew nearly overhead above Vaul bay. Beak on the right, feet on the left!